← Fast Trains: America’s High Speed Future E-book is Here! Dan Richard from the California High-Speed Rail Authority wants to “close the gap” between Bakersfield and Palmdale–elevation 3,000 feet–which currently has no passenger rail service. This is called “Gap 1”. 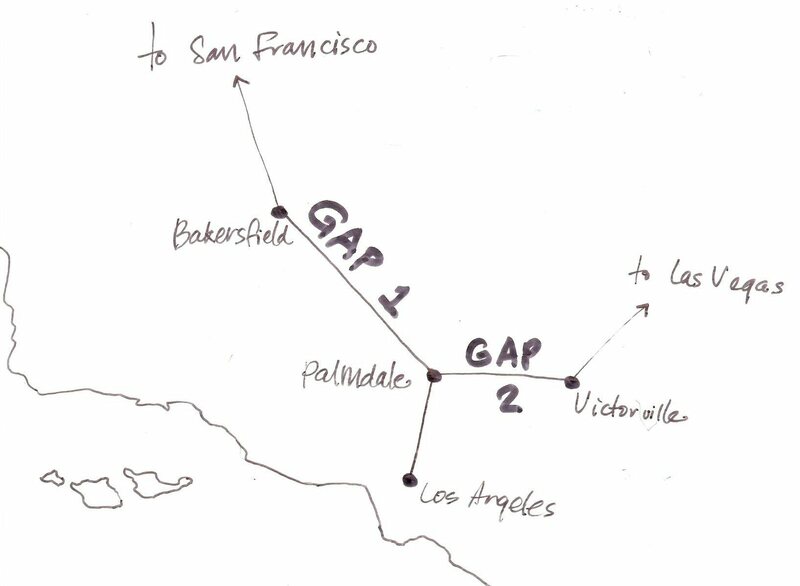 Furthermore, a high-speed rail connection from Palmdale to Victorville would close the gap, called “Gap 2,” which would connect Los Angeles to Las Vegas. This entry was posted in The California System and tagged bakersfield, CAHSR, Dan Richard, Desert Express, hsr, Palmdale, Victorville, Xpress West. Bookmark the permalink.